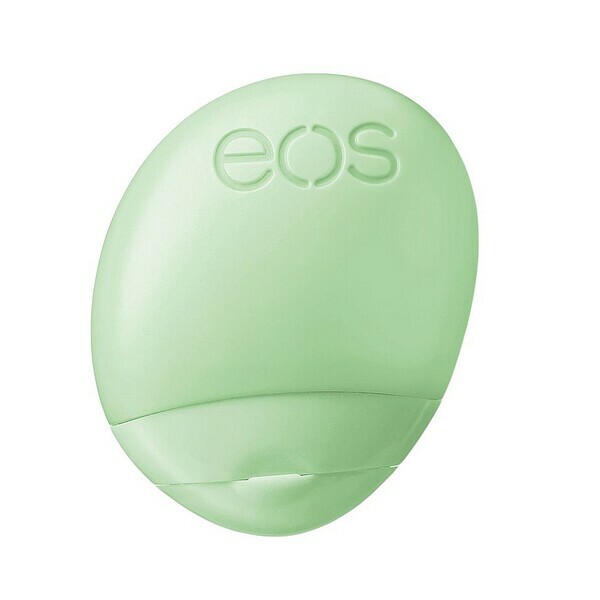 The delightfully nourished hand lotion. 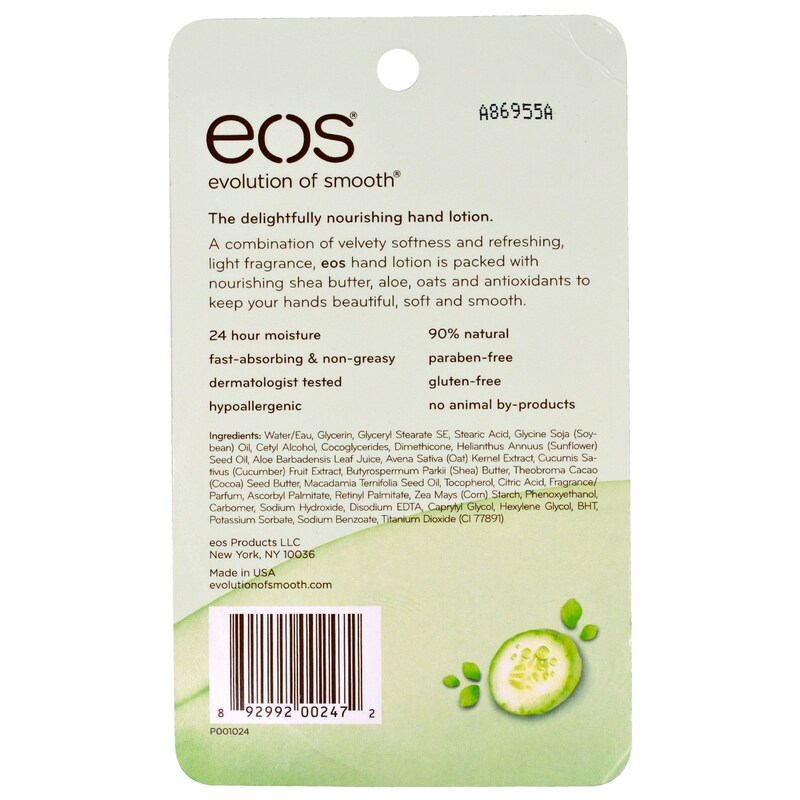 A combination of velvety softness and refreshing, light fragrance, eos hand lotion is packed with nourishing shea butter, aloe, oats and antioxidants to keep your hands beautiful, soft and smooth. Water/eau, glycerin, glyceryl stearate SE, stearic acid, glycine soja (soybean) oil, cetyl alcohol, cocoglycerides, dimethicone, helianthus annuus (sunflower) seed oil, aloe barbadensis leaf juice, avena sativa (oat) kernel extract, cucumis sativus (cucumber) fruit extract, butyrospermum parkii (shea) butter, theobroma cacao (cocoa) seed butter, macadamia ternifolia seed oil, tocopherol, citric acid, fragrance/parfum, ascorbyl palmitate, retinyl palmitate, zea mays (corn) starch, phenoxyethanol, carbomer, sodium hydroxide, disodium EDTA, caprylyl glycol, hexylene glycol, BHT, potassium sorbate, sodium benzoate, titanium dioxide (Cl 77891).